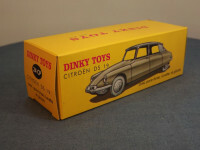 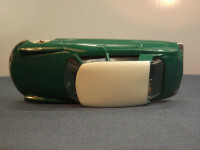 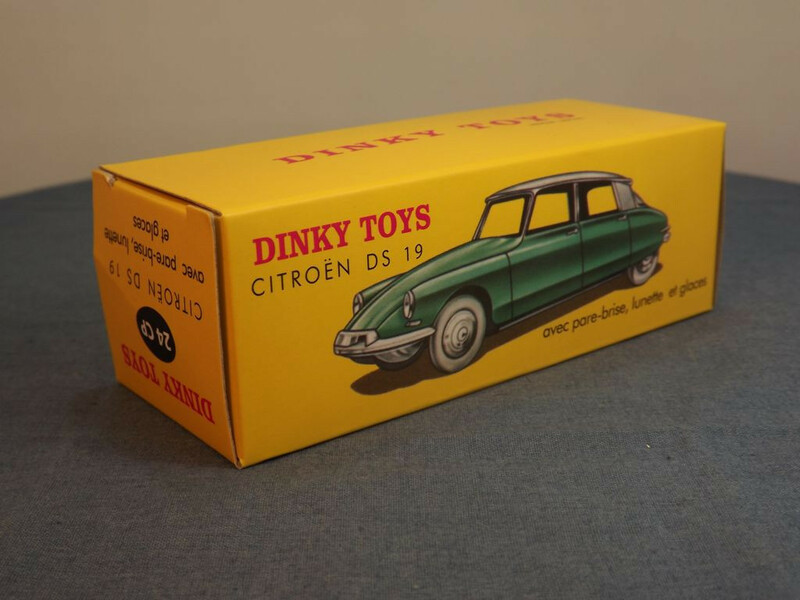 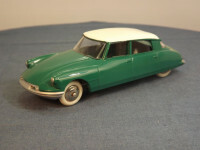 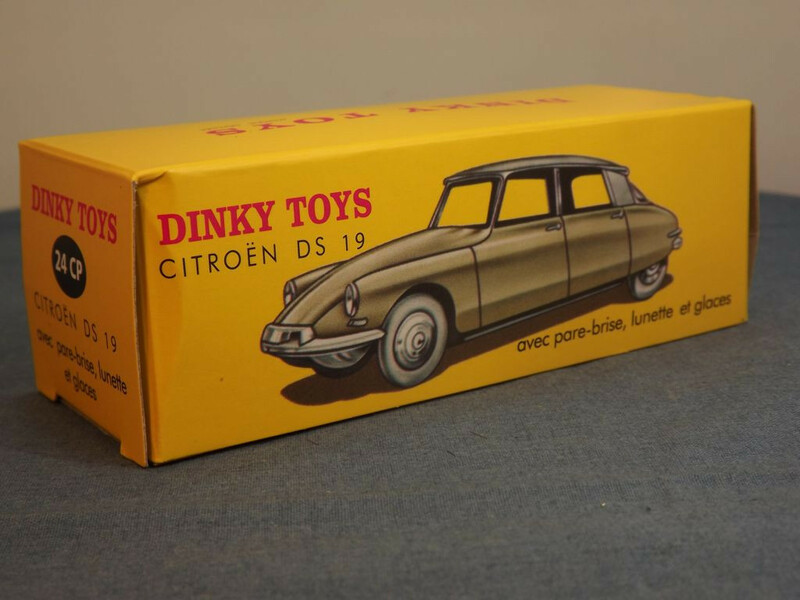 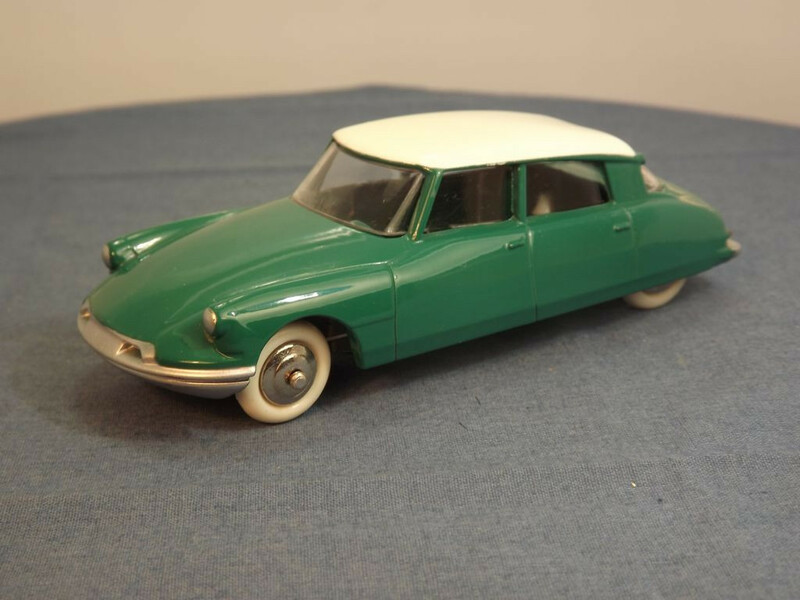 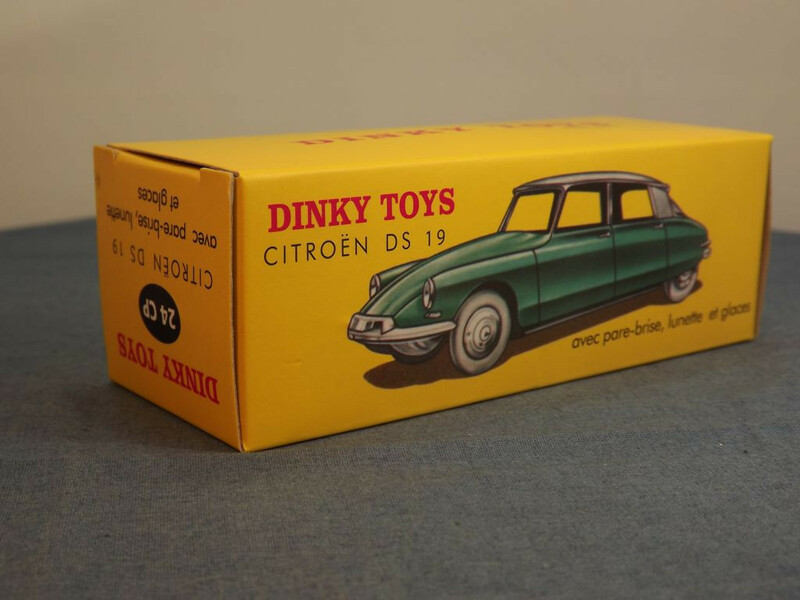 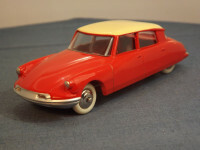 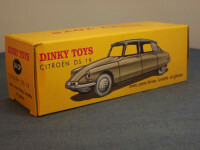 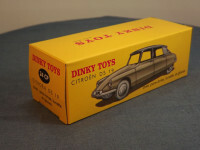 This model is the Editions Atlas Dinky 24c-F-2 Citroen DS19 in dark green with ivory roof. 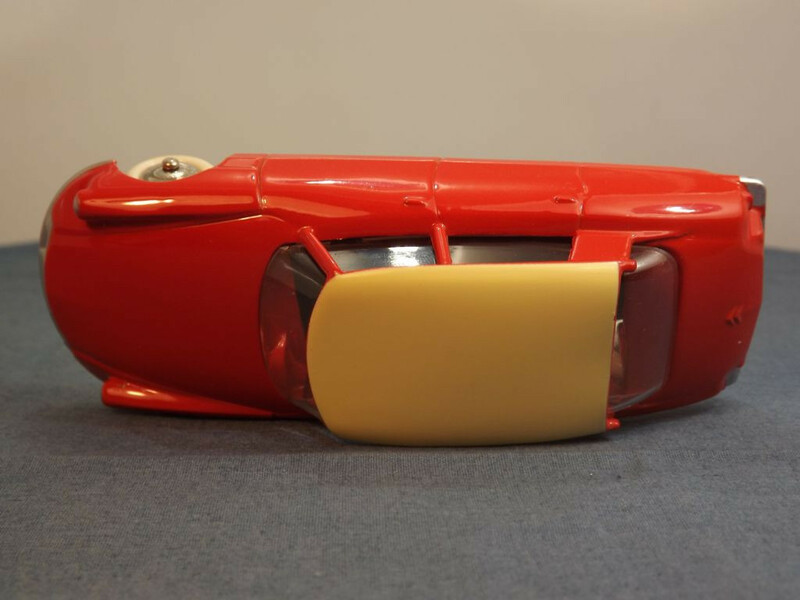 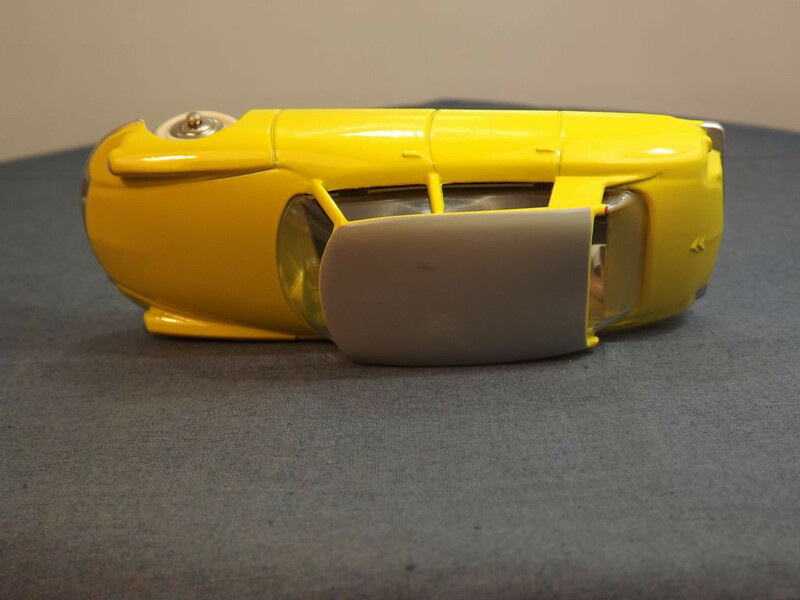 There are no opening parts on this model and all detail is cast into the body casting such as the doors, handles, badges, lights and front and rear bumpers. The car is adorned at the front with a silver painted bumper and number plate and the lenses on the front lights are also painted silver. 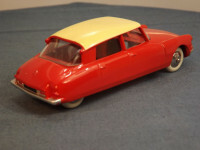 At the rear it has silver painted bumper, red tail lights, and black number plate. 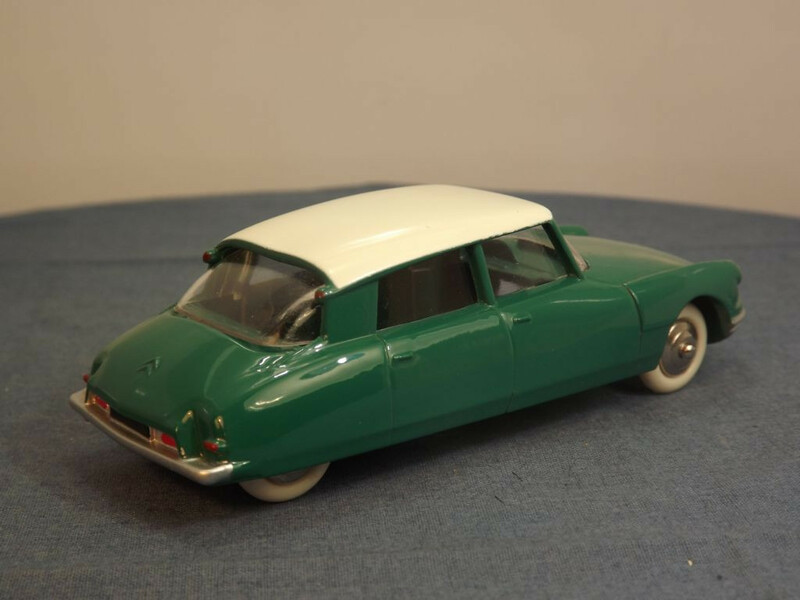 There is no interior and the glazing is clear. All wheels appear to be one piece, solid, chromed hubs with a separate white "rubber" tyre on steel domed axles. 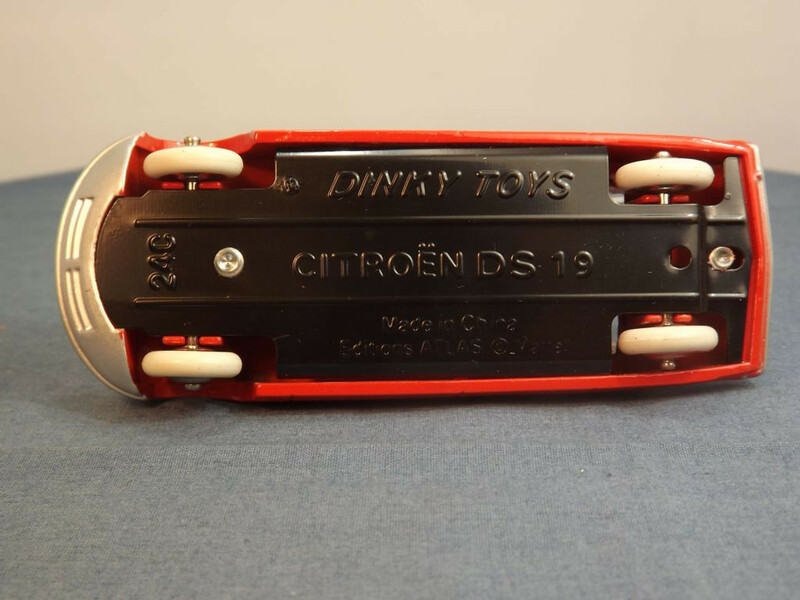 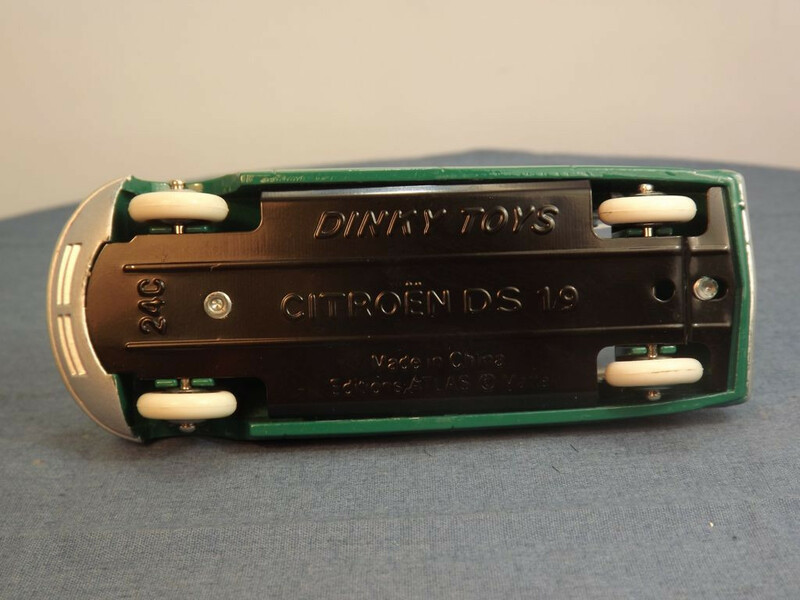 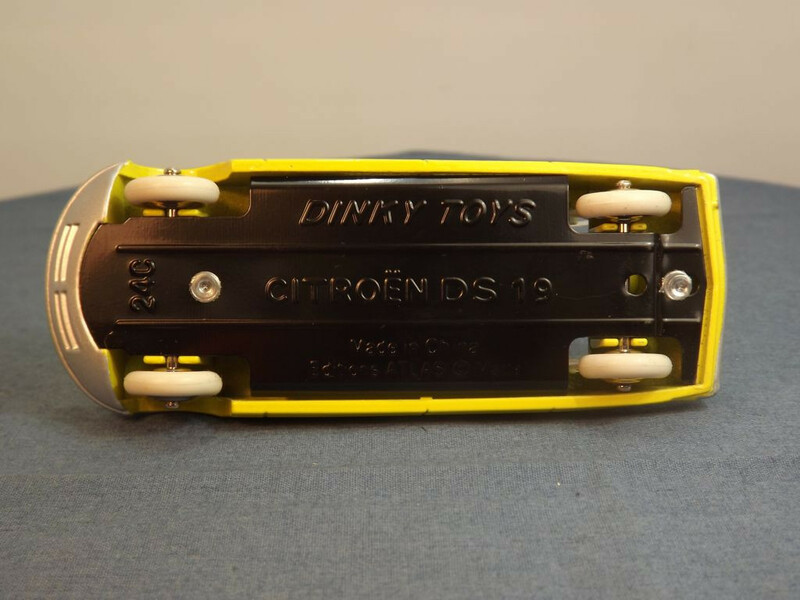 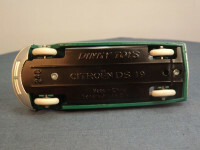 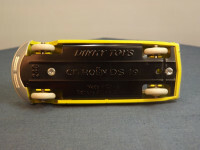 The base plate appears to be black painted, tinplate metal and carries the legend "Dinky Toys" at the top centre, "Citroen DS19" in the middle centre, and "Made in China, Editions Atlas © Mattel" on two lines at the bottom centre. 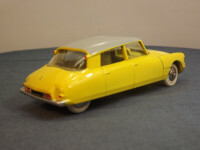 Forward of the front axle is the model reference "24c". 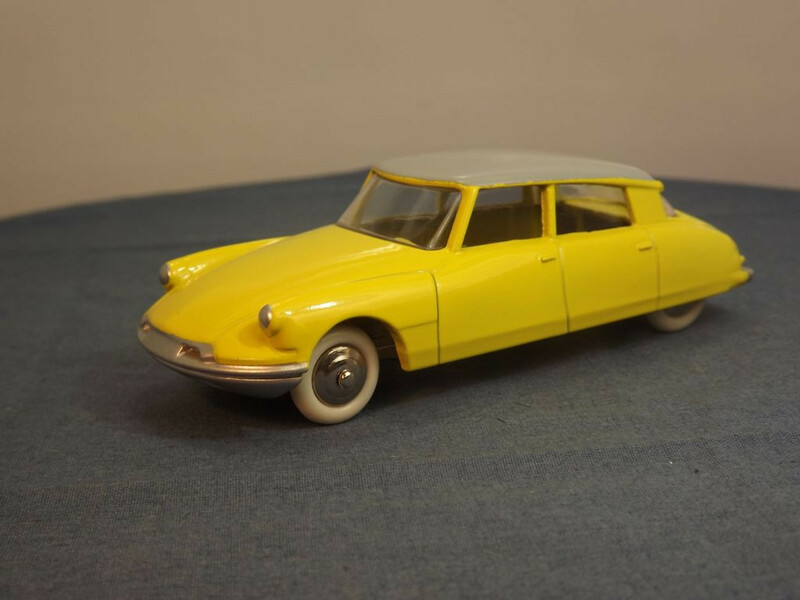 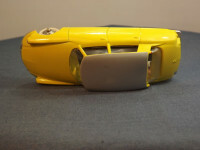 This model is the Editions Atlas Dinky 24c-F-4 Citroen DS19 in yellow with grey roof. 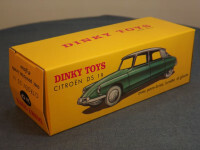 This model is the Editions Atlas Dinky 24c-F-5 Citroen DS19 in dark orange with cream roof.